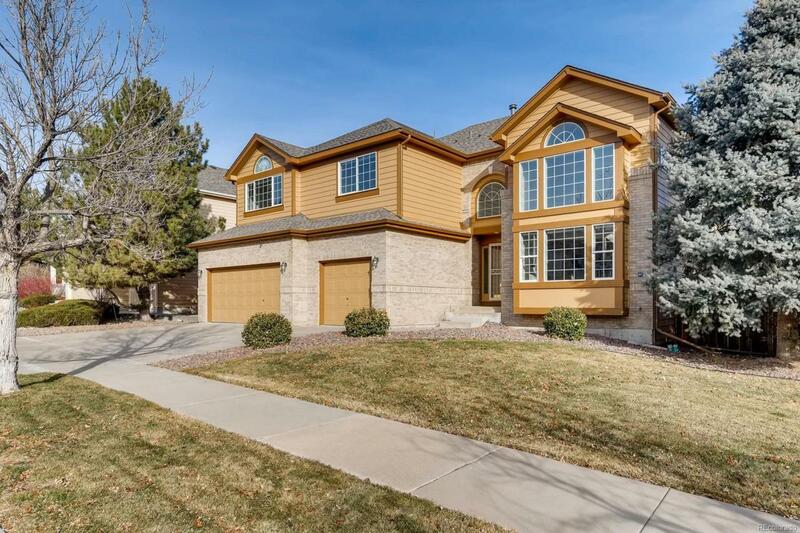 Turn-key semi custom beauty in Grant Ranch. Recently updated chefs kitchen with stainless steel appliances and brand new granite slab counter tops. Amazing floor plan with main floor office, large dining room and elegant living room. Upstairs features the large master suite with 2 walk in closets and 5 piece bathroom and 3 additional guest beds. The finished walk out basement has an awesome rec room with a pool table and tons of storage space. 2 nest thermostats and video door bell stay with the home. Brand new roof and gutters in 2018. Newer carpet and refinished hardwood floors. Grant Ranch is a premier neighborhood with lake access, large pool, tennis courts, 2 parks and miles of walking paths. Great location close to shopping and restaurants.